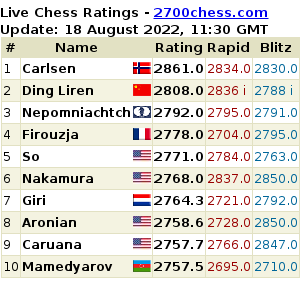 Who are your two favourite chess authors apart from the most popular, Dvoretsky? To be honest, I’ve never liked Dvoretsky’s books: they’re too academic, perhaps, and tough to take in. Botvinnik himself wrote about methods of preparation a long time before that, and much better. In general, I grew up as a chess player on books. My first computer appeared when I’d already become a grandmaster, and even then I only used it in order not to have to carry all my notebooks with analysis around with me. Perhaps appearances are deceptive, but you do get the impression that Ponomariov’s relationship to computers is similar to that of the average chess fan. Most of us have probably tried the following! – Which first move for White is objectively, i.e. analytically, the best? 1.e4 or 1.d4? – Is the opening position won for White? And which Windows user among us hasn’t tried taking a break from playing against the serious, and nigh on unbeatable, chess engines? I recently read a story on the internet about a match between Rybka and the free program Houdini. The final result came as something of a surprise to me. After all, a commercial program should have some sort of advantage over a free one! Although that same Rybka previously lost a match to the program Zappa which, however, didn’t stop Rybka’s creators from improving it further. I expect the same this time round! For the average user the appearance of a strong free program is an undoubted plus. Personally, on my desktop computer, I use the free Ubuntu instead of Windows, and Open Office instead of Microsoft Office. It’s great that we’ve now got such an alternative in chess as well. 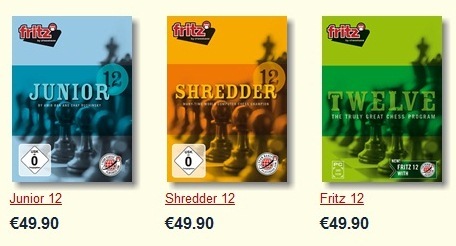 Previously there were a great number of programs: Junior, Nimzo, Hiarcs, Fritz, Shredder. At the same time it wasn’t entirely clear to me what the main difference between them was, particularly as all the programs had almost identical packaging, with only the colour of the board distinguishing them. Then Rybka appeared, which you could download from a link you were sent after paying. And then there was a new version, packaged differently as well, as Aquarium. Real progress for the user! Now the free Houdini is available. I’ve tried it, and it genuinely is a good program. In certain respects it’s even more convenient to work with. Rybka, for example, tries to use up almost all the resources it can, and at some point my computer begins to hang. I haven’t seen that with Houdini: I can comfortably multi-task. And what was the story with your recent interview with D. Komarov, as mentioned on our forum (did it take place or not)? In my case he didn’t even try to contact me, but simply compiled different material from various sources. That, in my view, is wrong, and gives the reader a false impression. I had personal ties with Ruslan after a few years of our working together, and I didn’t consider it obligatory, after all that I’d done for him, to get his agreement for the interview mentioned, or, for that matter, for some earlier publications as well. 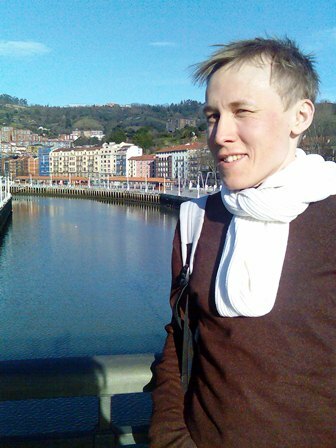 Because of real time trouble, due to personal matters, I really did compose the interview with Ponomariov from a few earlier conversations with him, publications by colleagues from “FAKTY”, and also fragments of an interview conducted by Dagobert Kolmayer on the site chessbase.de (I was given permission by the author). Komarov does actually go on to stand by his Kramnik and Lautier interviews, though at least in Kramnik’s case it seems the journalist made inappropriate use of a private conversation, for which he apologises in the letter. 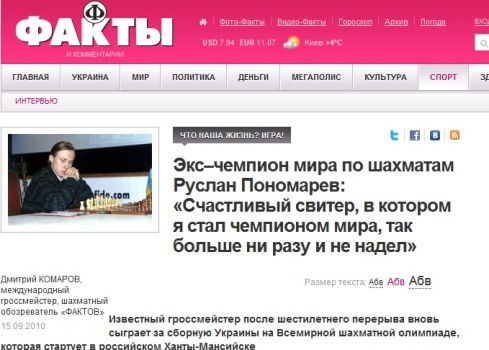 Komarov accuses Ponomariov of ingratitude, claiming the newspaper’s support played a role in money being provided by the Ukrainian government for preparations for the Kasparov match. Once again, thank you to the site’s editors for their genuine professionalism! To read the second part of the conference in full – and other highlights include Ponomariov explaining how he’d go about beating Capablanca at blitz, and a long and honest assessment of his performance at this year’s Tata Steel tournament in Wijk aan Zee – please click on the link below! I can´t believe Komarov still defends his work. You can ask any Ukrainian elite chess player whether they know Dmitri Komarov and they will answer with a snort (personally, I asked Natalia Zhukova and that´s what I got). This is not the first time Komarov does such a thing. Certainly not with Ruslan: in the past he published an interview that he had allegedly taken from Ruslan when he picked him up at the airport, which is quite interesting if you take into account Ruslan had arrived in Kiev by train! And if he thinks that it is professional to claim that you have interviewed someone by just making a potpourri of past conversations and random interviews by other journalists, well, that leaves no doubt as to what sort of professional you are. And let´s not forget some of the things were plain inventions, like the gazpacho recipe. And how can anyone want to have anything to do with a journalist that will publish details of your private life at the first chance as he did with Kramnik? I just cannot understand how he still has a job at all.